Here’s a great photo from my keynote last month in Muscat, Oman, with a room full of executives from the global transportation, trucking and supply chain industry! Check the slide on the screen – if you follow me, you’ll know that is my standard closing slide. It’s the one that I notice people scrambling to write down in their notes, because it has caught their attention and imagination. It gives them a structure for their plan to implement the message I deliver on stage. 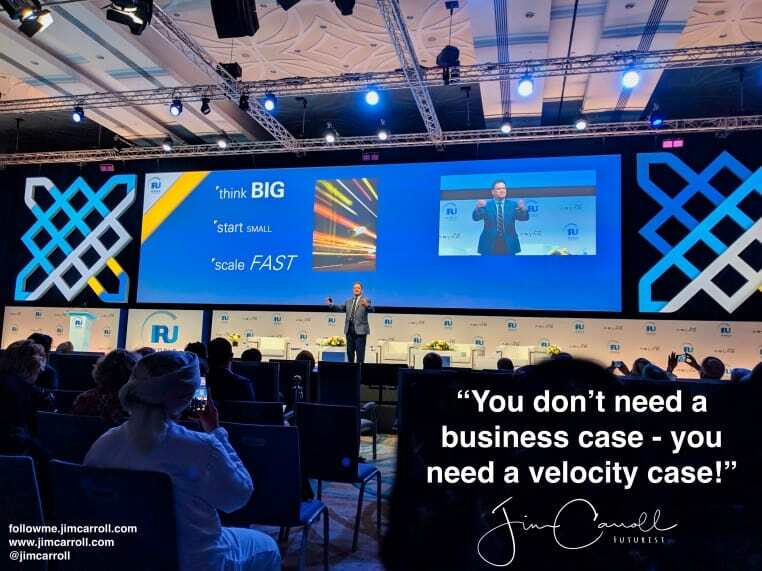 Look at the third bullet – ‘scale fast.’ One of my key themes through the years has been that “faster is the new fast” — that the biggest challenge that organizations must now face is how to keep up with the high-velocity economy and the pace of rapid change that envelopes them. Far-fetched? Not in the era of acceleration!